So I was like, Oh let's make it cuter, let's make you as Minnie! Turn out we were horrified of my result. It looks like Minnie Mouse, but in a creepy way . . . I still think that my result is still quite messy as I am not used it. But I will keep studying! May you have a nightmare tonight . . .
Hahaha you're right! 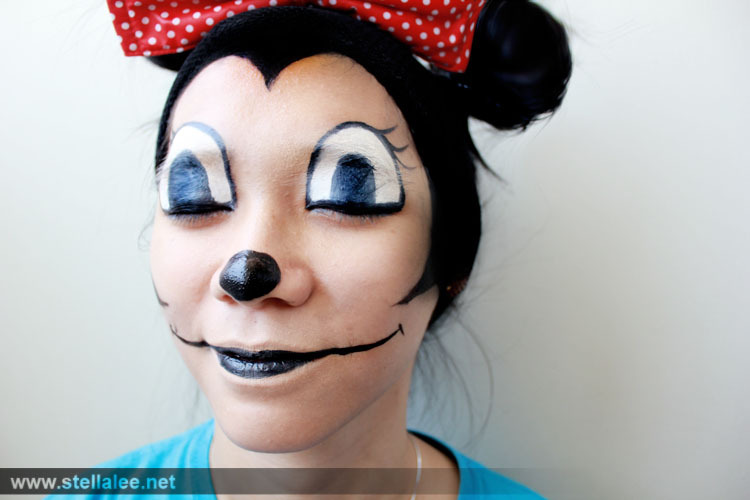 It does look like Minnie but in a fairly scary way lol. 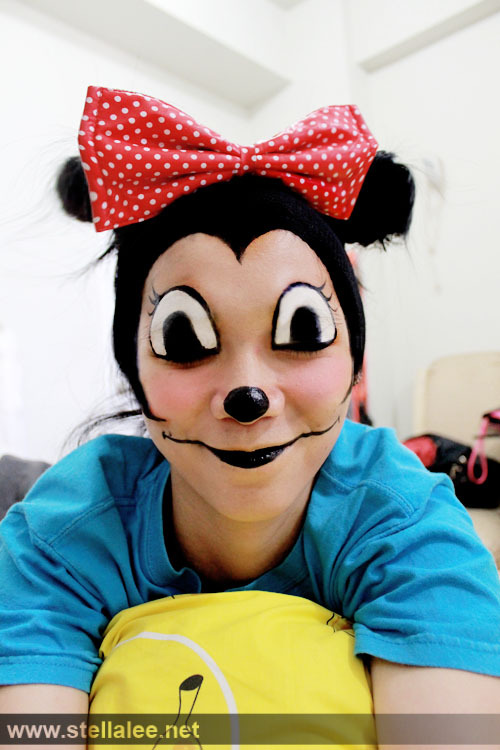 I guess it would be good if someone decided to a scary Minnie Mouse! Scary but it is cute! hehehehe do more face painting work in future ^^ I'd like to see it.